Bushings, washers and screws for Grover® Machine Heads. 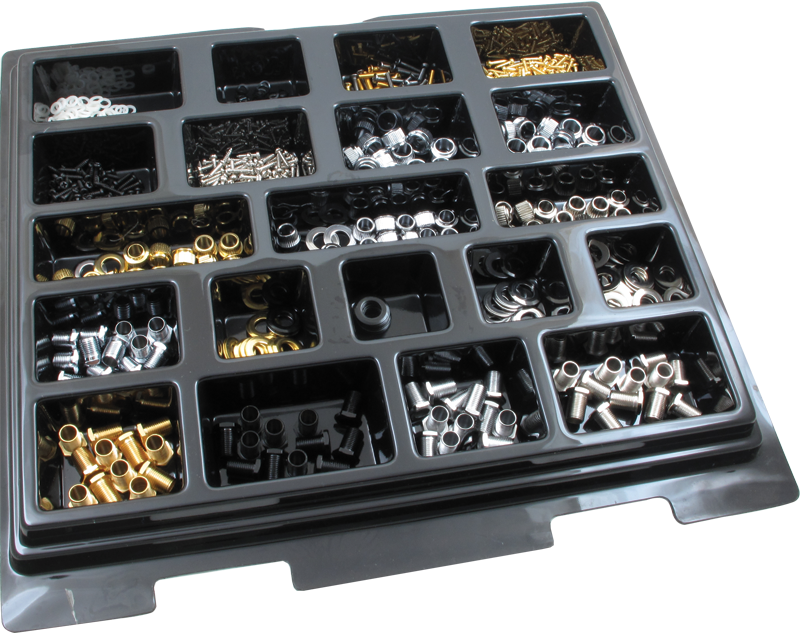 Includes 120 bushings, 192 washers, and 252 screws. Packaging Dimensions 12.4 in. x 11.4 in. x 1.3 in. Unfortunately, we do not offer bushing sets individually outside of this kit. We do not have the measurements you require available at this time. Grover substituted chrome Imperial bushings for the gold ones that were supposed to be in the kit. It contained chrome in both bins and omitted the gold ones that are supposed to be in the package. It was still shrink wrapped, presumably from the factory. The packaging doesn't really hold the parts that well during shipping. Most of the washers and some other parts were mixed into other bins by the time it arrived. Overall, it's mostly as described and just required resorting a bunch of parts, but it was annoying they ommitted some gold parts. What if that was the main thing I needed immediately from the kit? The price was comparatively good from AP, on clearance. It's still a lot for some bushings and washers.